And after all the feet of snow over the last few days we needed them. 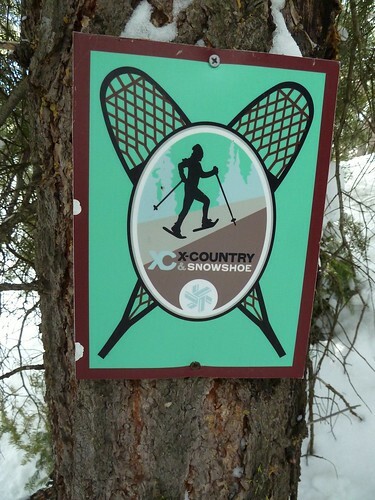 Snowshoeing again off in the wilderness of the Sierra Nevada. Away from the crowds, under bluebird skies, we hiked more than a few miles in the deep powder. Keeping an eye for the day-glow orange ribbons marking the trail. By afternoon the snow became the now World Famous Sierra Cement, heavy and wet. Spring has Sprung in the Sierra. Back to the grind in the morning.